Dr. Cirka treats his patients to the highest quality of preventive, restorative and cosmetic dentistry in the gentlest manner possible. He has high standards and expectations of his staff, and each of his four hygienists also go above and beyond in providing patients with the most gentle and thorough cleanings using the newest and best materials. Whether you need implants to replace missing teeth, veneers to improve your smile, or a general check-up, Dr. Cirka and his team’s expertise and experience will lead you to health. 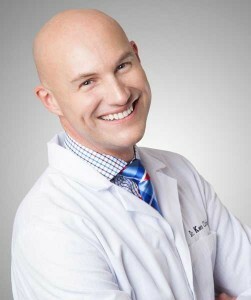 Before embarking on his professional career, he was born and raised in a small town near Pittsburgh, PA. After being accepted to the University of Pennsylvania dental school, he moved to Philadelphia where he has spent the past 21 years. He enjoys learning new dental techniques and has traveled to Germany, Africa, and throughout the U.S. to further his education. When not in the office, you can find him at home in Center City, at the gym, or renovating his home. He enjoys teaching other dentists how to love what they do, promoting healthy living, and giving to local and national charities, specifically the Muscular Dystrophy Association and the American Cancer Society, both of which have affected his family. It is hard to find a good Philadelphia dentist and to achieve good dental care. It has become my personal mission to change that. The dentistry that I provide to you will be long-lasting, of excellent quality, and completed gently. I value your time as if it were my own. You will be seen promptly – within a few minutes of your appointed time. We schedule ample time for each of your needs so that you never feel rushed. My reputation depends on going above and beyond what my patients expect of me. My patients are the reason I love my job. You tell me about your successes and challenges, your family and home lives, your hobbies and vacations. Each person is unique and has his or her own concerns. Listening and coming to an agreement before any work begins is as important to me as it is to my patients. Until you are happy, healthy and heard, my work is not finished. I encourage open communication. I will do my best to communicate before anything is done. If you have a concern that I did not address, please mention it. I provide the truth to my patients in regards to what they need. I do this so that together we can improve their oral and overall health to increase your quality of life. What this means for you is that there is no other doctor or office that is more open and gentle with your dental care than my staff and me. I highly respect my employees as they are the most friendly, caring, and courteous people and they fully support my vision of providing top-notch dental care at reasonable prices. In fact, the two employees who launched the office with me eight years ago are still working with me today. Our collective goal is to help our patients be as happy and healthy – both orally and overall – as possible. We understand that your health depends on you seeing a dentist regularly and we try to make that as enjoyable as possible.